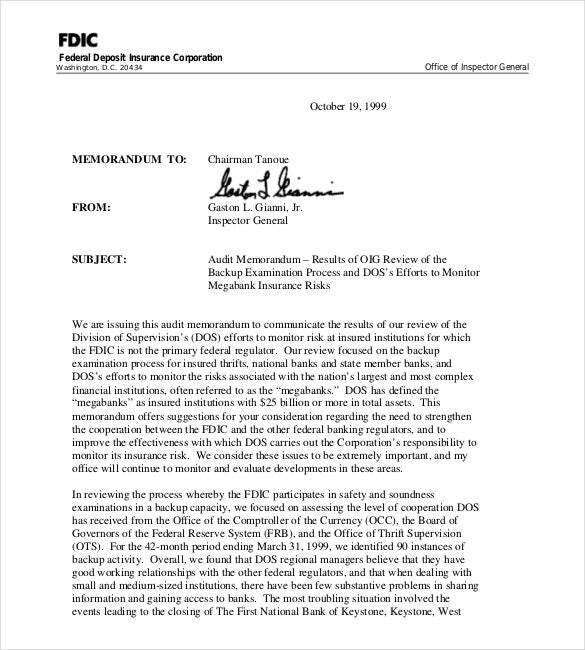 An audit memo is used to inform all concerned people of the findings made by the authorized personnel and that may require some changes as part of following the policy for it and for the betterment of the company as well. 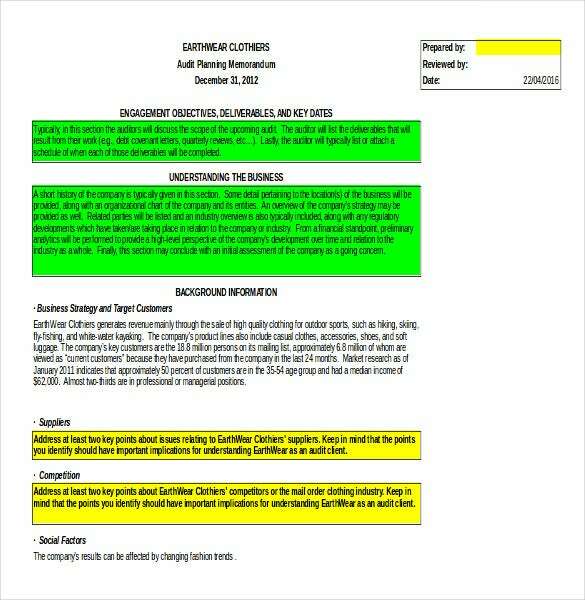 An audit memo template is found under a Company Memo Template. 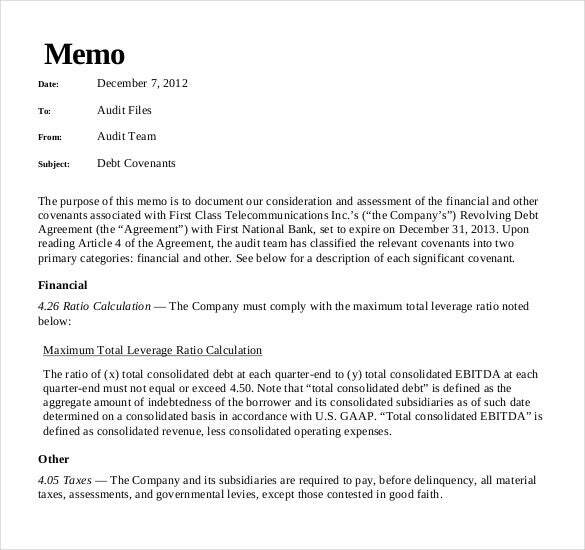 This will give you an idea how to make an audit memo substantially and well detailed. fdicig.gov | Carrying out an audit requires utmost diligence and attention to the little details. 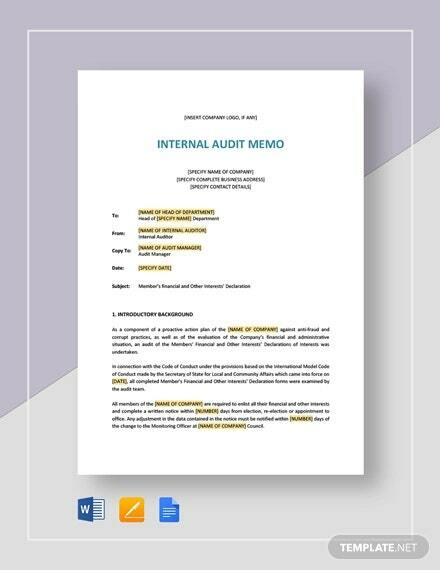 If you’re carrying out an audit of some sort, you could make this tough job much easier by simply using an audit memo template. edinburgh.gov.uk | Every time an audit is carried out, it has to be followed by a report. This official report is mandatory. 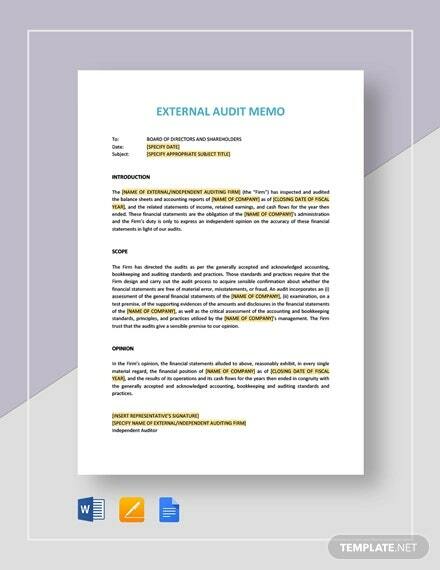 If you’re to create this report, you could do so by using this professional and official external audit memo template. highered.mheducation.com | Any kind of audit is a long process that requires a step by step planning. If you’ve come up with an efficient plan, then you could make it known through a memo. In order to create the memo, you can make use of this amazing memo template. deloitte.com | All companies are audited at regular intervals. 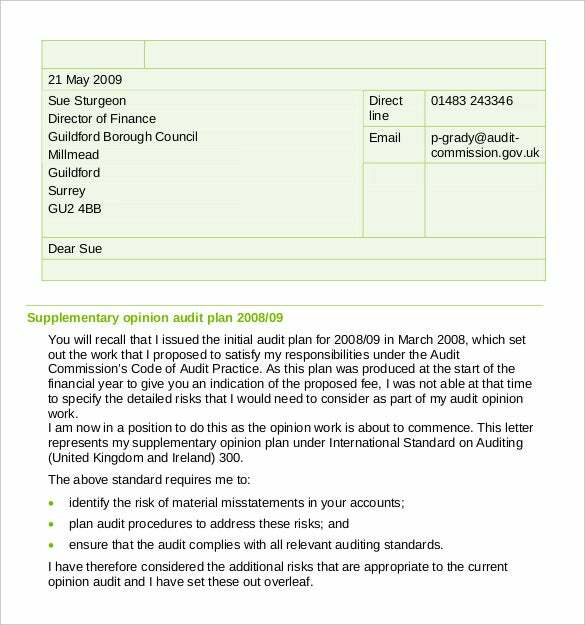 If such an audit is to be carried out at your place of work, you could use this audit memo to create it. This would be particularly helpful if you haven’t created such an official report before. 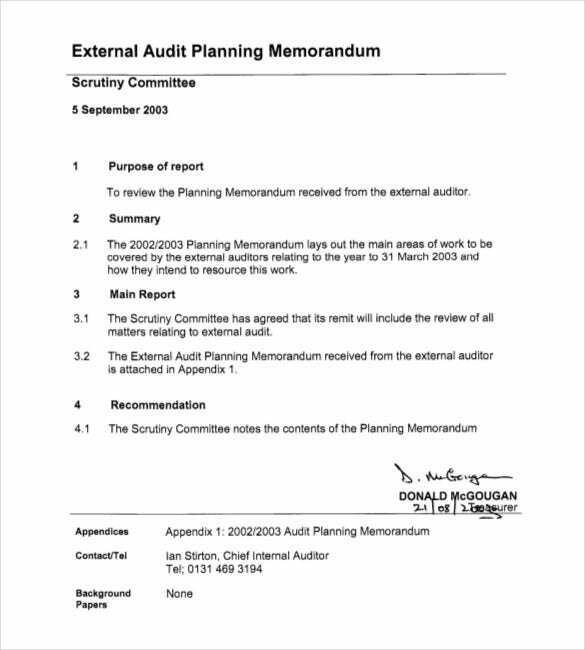 guildford.gov.uk | The best thing about this audit memo is that it not only allows you to include your audit report, but also other notes and descriptions that you may seem necessary. The bright background and border also adds to the charm of it! 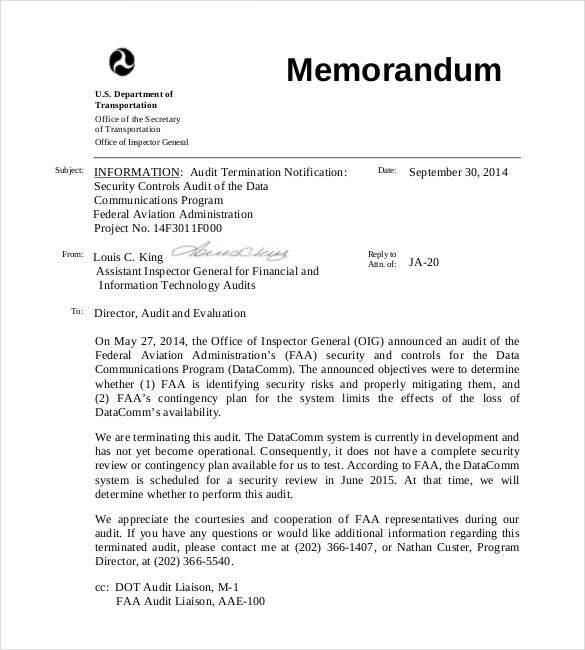 oig.dot.gov | When an audit of some kind is to carried out, it must be announced beforehand. What better way to announce it than by using a memo? That is precisely why you need this announcement memo today. 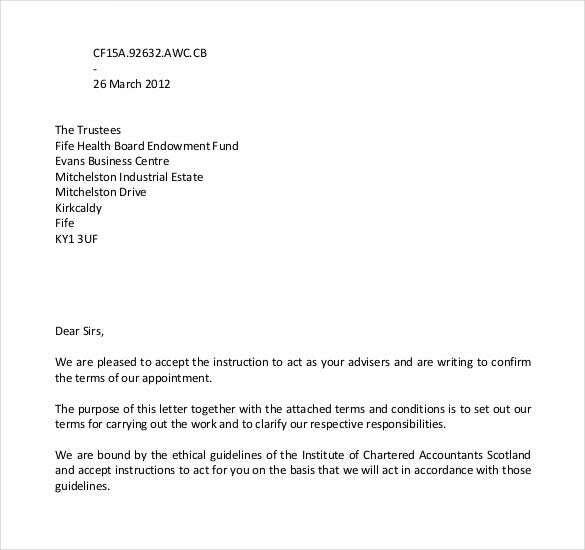 admin.1fife.org.uk | The health board, like other organizations, are also audited from time to time. In order to publish an official report of the audit that has been carried out, a memo may be used. 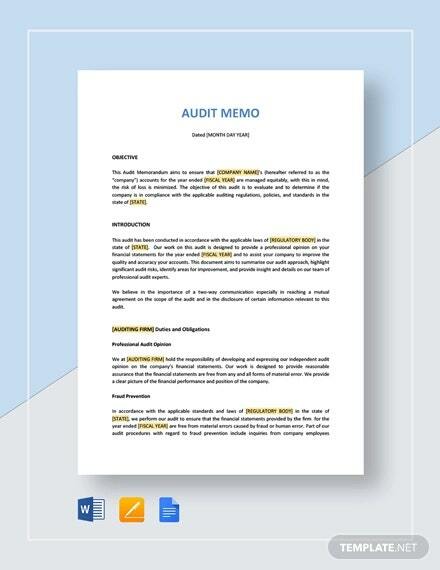 For that, you can take the help of this audit memo template. sbsb.edu.gov.on.ca | If there’s an internal audit to be carried out in your place of work, you may need to use this template if you’re not familiar with the planning part. 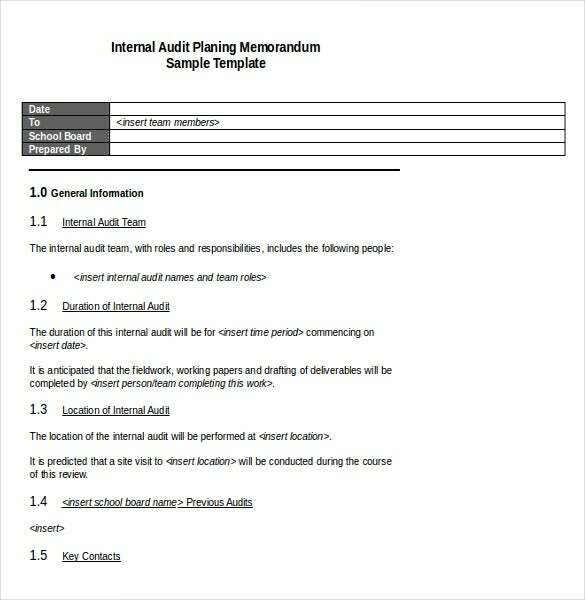 The planning is the more important aspect or the audit and that is why this template could come in handy. 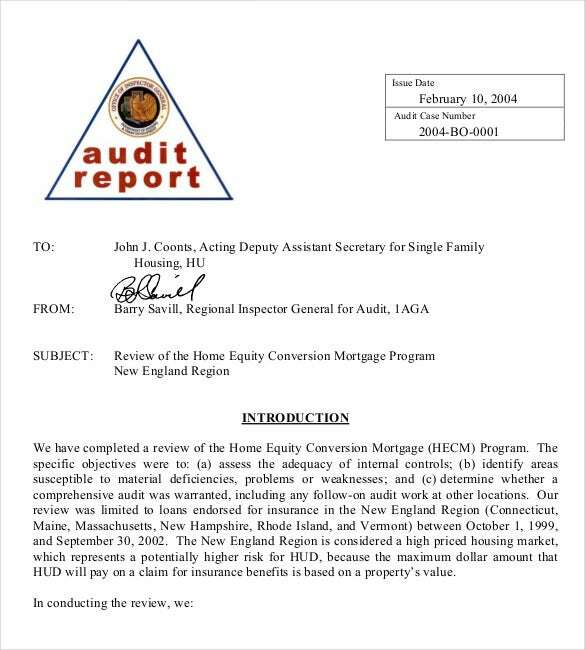 archives.hud.gov | Now that the audit has been completed, you will need to publish an official report stating your findings. 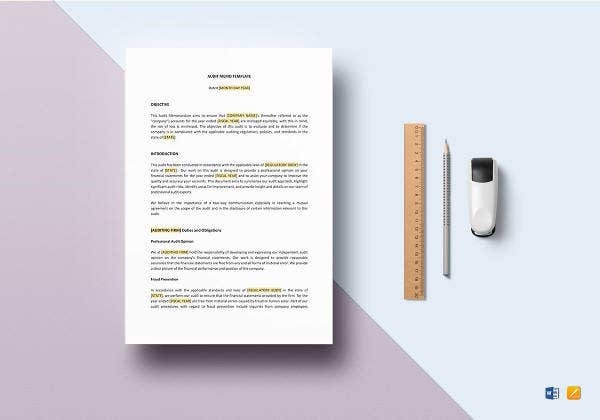 Make your job easier for you, and simply take the help of this amazing template. It would certainly guide you as to the format. 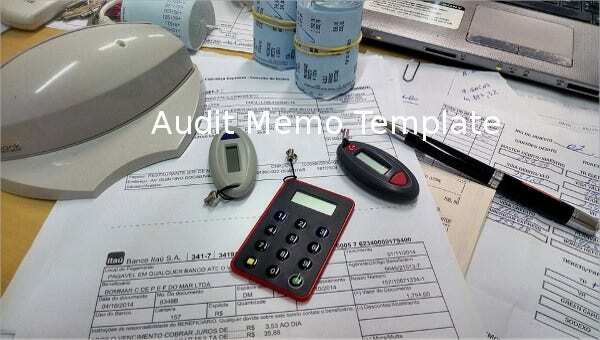 You can have all samples of audit memo in this template tool via online. All you need is to download it, choose the right sample for the company and modify the changes right away. These samples are in Word, Excel or PDF format. You may also see Memo Template. If you have any DMCA issues on this post, please contact us!